Here’s how to download and install Snapchat++ Phantom Lite 10.9.2.0 IPA on iOS 10. No jailbreak is required for this to work. 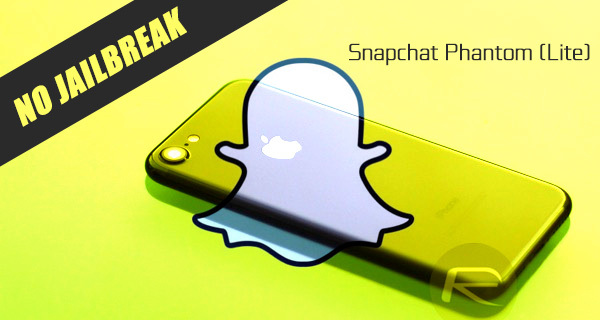 The Phantom Lite for Snapchat hack gained traction and popularity initially as an installation via Cydia for jailbroken devices. 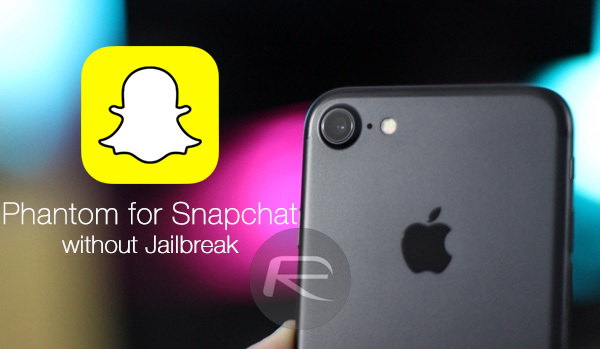 But with the ability to sideload apps onto devices without jailbreak, it has transitioned across as a standalone app for a while now that’s available for all who want to augment their Snapchat experience on non-jailbroken devices. Anyone with any familiarity with the Phantom Lite experience will know what it’s about. The installation brings a ton of new features to the native Snapchat app, such as being able to instantly save media to the Camera Roll on the device and crop images directly within the app before they are posted. Users can also choose to entirely hide the Discover and Live Stories feature if they feel this is something that distracts them rather than adds value to the app. There is, of course, tons of more features built in that Snapchat account holders will benefit from. This latest version is essentially the same Phantom Lite experience – which still bypasses the recently turned on Snapchat DRM as the previous version – but with support for the latest Snapchat features as introduced in the App Store version 10.9.2.0. That means that Phantom Lite users will benefit from the new way of creating Stories as introduced in 10.9.2.0, which includes being able to create an experience that’s visible in a single location rather than by all friends on the app, in addition to all the benefits that Phantom Lite brings. If you happen to have one of Apple’s Mac computers, either a MacBook or iMac, and you want to go through the installation process using the Xcode development environment, version 7 or above, then you can follow our previous guide on the topic here: How To Sideload iOS Apps Without Jailbreak Using Xcode 7 For Free. Alternatively, if you use Windows or Mac, or just prefer to use the simpler Cydia Impact installation route, then you can go through our previous tutorial on the subject, here: Sideload iOS Apps On Windows, Mac With Cydia Impactor Without Jailbreak, Here’s How. Of course, to be able to successfully get the Phantom Lite for Snapchat experience installed onto your non-jailbroken device using one of the methods above, you will need to be in possession of the relevant IPA file. You can grab that from here. Aint working… U posted this again 3 hrs ago on twitter. Why did you even bother doing a new tweet about it when it aint working? Come out with a fix already…. I want to save my nudie snaps, without the hoes knowing! !